A Photo Chick's Journal in Paradise: Keepin' it GREEN & BLUE! Good morning, December 14th! What a beautiful start to the day!!! Have a wonderful Monday, everyone!!! After a very gratefully busy weekend it was nice to end today with this beautiful gift of a winter Hawaiian sunset! Back in September I photographed Jasmyn and Aikane's spectacular wedding in Kona on the Big Island. Fortunately, while I was there, I was able to take some personal time to explore this part of the Big Island which I've grown to really love. There is something extremely special about the Big Island...the energy there is so magical to me. It is the youngest of our island chain and yet so ancient in it's history and ways. It's really hard for me to describe. I do know, though, that the "mana" (divine power) is dominant there. One of my favorite discoveries were these beautiful tide pools at Honaunau Bay which is located right next to Pu'u Honua O Honaunau or The City of Refuge. I enjoyed sitting on the lava boulders in the crystal clear ocean water while watching the evening sunset. It was so beautiful! I decided to visit the same tide pool two days later to enjoy the same experience again before leaving for O'ahu. I discovered that it was low tide and most of the tide pools were empty. As I sat there, in the same tide pool that I recently happily soaked in, I thought to myself that this was a great reminder how temporary things can be. We shouldn't assume that life will always be the same. The reminder here is to really take in and enjoy every single moment, every single person and every place that you are experiencing. Be mindful and treasure it. I just wanted to share with you one of the eco items I like to use in my kitchen. I love Ziplocs however, they can be terrible in our landfills. Fortunately, I found one of these Counter Bag Dryers on the web. kind to our aina (land) and our world! It's sooo KANU HAWAI'I!!! I purchased my first 1TB SATA drive. ONE TERABYTE!!! Who would have ever thought! Because I'm a RAW shooter, I use up a lot of hard drive space. Hence the 1TB by Western Digital Caviar Green. This hard drive is eco friendly because of it's reduced power consumption. It's cool and quiet. I bought this drive from www.newegg.com. I think it was like $89.99 or something wonderful like that! It's great because this docking station can also read my older SATA drives. You know like the one that was in Edna before she passed on? So far so good, peeps!!! You know, I just really appreciate signs like these. It's a sweet rustic reminder of what makes Hawai'i soooo special! This was a good reminder for me to prep for Mother's Day so I decided to pick up a couple of leis for tomorrow. And there they were! Sitting there, waiting to be picked up. Their sweet scent wafting through the air. There were two bags left. PERFECT! Just what I needed! I was so happy and proud to buy from a local family, here in my backyard town of Kane'ohe, therefore, reducing my carbon footprint by not driving into town! Happy Cinco de Mayo, everyone! Another voggy day in Hawai'i nei! However, that doesn't put a damper on a beautiful, productive day for Hokuli'i Images! Today I was determined to get through my "To Do" list. One of the items on that list was to buy my first pair of Crocs! Many of my peeps know that I've been hemming and hawing about getting a pair of these things. Going on and on about "what color should I get", "what style," "will it make my feet look fat??" etc. Well, I'm proud to say that I finally did it! I purchased these cool royal purple Beach Crocs from City Mill in Kane'ohe. I just love City Mill! It's locally owned and they have all sorts of cool stuff besides hardware and gardening products. Crocs are like you either love them or you dislike them. My BSS in San Diego is most likely thinking, "Ger, what were you thinking???" And I would counteract in saying, "But Deb! They're so comfy!!!" I don't know what it is but I've ALWAYS been fascinated by them! Okay, so I got my Cinco de Mayo Crocs on and headed straight over the hill to Asagi Hatchery in Kalihi. I've been helping to care for an abandoned chick by the name of Kapa. (I think you've seen her in my previous posts.) Well, I've learned from a couple of true chick Chicks (my girlfriends, La and Ilima) that it would be best that Kapa had a companion. So thanks to these two chicken fans, they sent me over to Asagi Hatchery. I could tell by the weathered signs that this business has been a part of the Kalihi landscape for many, many years. Actually about 74 years to be exact. They've been here since 1935! They are the only commercial hatchery in Hawai'i. OMG! I totally loved this sign. I can't help it! It's my proud pinay blood that runs through my veins! So me and my lovely new Crocs stepped into the store with anticipation and enthusiasm! I scanned the area with excitement! My eyes wandered slowly at all the signs that were hanging on the wall and all the various garden items they had for sale. I love that they sell organic! And that they're promoting self reliance (sustainability or whatever you want to call it) by selling organic seeds! I enjoyed looking over the photos that clients have sent to the hatchery. Proud chicken parents who love their fowl and Asagi Hatchery! I was greeted by Sharene Asagi, the office manager with so much ALOHA! She and her granddaughter, Chanel, helped me to make my first chick purchase. And here we have our first Asagi chick! She is a Rhode Island Red x Leghorn. Which in chicken lingo means that she's a layers chick and will have eggs. PERFECT! Isn't she sweet???? She was making quite a fuss which totally concerned me. All these questions started racing around in my mind! What if Kapa doesn't like her and then she'd be so lonesome? Why is she chirping so much??? I wonder if I should have a margarita today?? Sharene and Chanel even helped me to the car! How is that for sweetness and GREAT Customer Service??? 3) They're promoting something that we all should be looking into if you have the time and space to do it. C'mon, peeps! Our own fresh eggs! There's NOTHING like them!!! 4) They are the sweetest, kindest and patient people ever!!! MAHALO NUI LOA to Sharene and Chanel for making my chick buying experience so fun. You were both so patient and understanding. I hope to be back to visit with you again!!! And to my chicken mentors, La and Ilima. You two are such amazing people!! Thank you for teaching me about these beautiful creatures. They really are a joy and your mana'o, concern, and excitement are soooo appreciated! So here they are everyone! Our Cinco de Mayo Chicks! Eneloop - Great Rechargeable Batteries! As a pro photographer and gadget girl I use a lot AA batteries. Fortunately, I'm also an eco-friendly chick who loves Mother Earth soooooo much! So I've been using RECHARGEABLE batteries for the past several years now. I noticed that my old rechargeables were no longer holding their charge so I started searching for better batteries that hold their charge longer. I stumbled upon the Eneloop batteries by Sanyo several months ago while doing some research on-line. I love that they hold their charge longer than other batteries I've been using! I think I purchased my original set from www.smallpower.com. OMG!!! THANK YOU, Costco!!! I was so happy to see my little Eneloop buddies in Aisle 14 (just a guess, I can't remember right now) that I even did a little dance! In true Costco stlye, this pack gives you a whole lotta stuff! Not only do you get the 2 sets of four AA batteries and 1 set of two AAA batteries, you also get a Sanyo wall charger AND these things called SPACERS to now supersize those batteries into C and D sizes. How's that! Check it out...I already labeled my charger!!! I love labeling my stuff!! That's a whole different post in itself! These batteries work for me right now! I really dig that they can last me several hours on a shoot. Please visit www.sanyo.com for more information. And if you haven't already, please consider switching from alkaline batteries to rechargeables. It's good for our environment! In fact, it's a great birthday gift for Mother Earth!! Yesterday's workshop was beyond fun, overwhelming and EXCELLENT!!! You can imagine how excited I was for day TWO!!! As you know, I'm into reducing my carbon footprint as much as possible so fortunately I got to catch a ride with Arna into town. Speaking of a greener earth...look what we stumbled upon in her neighborhood. I was so excited to see the line up of all these new magnificent green waste containers!!! They were all patiently waiting like good little soldiers to be placed at their new locations. Wow!!! What a great way to start the day!!! Before I go on, I have to tell you that I brought my other trusty fotog companion, Keoki. He wanted to know what all this workshop stuff was about so he tagged along. He seemed pretty interested! Okay, so today at The Willows we learned more about workflow, sales and marketing. I really enjoyed learning from all of our instructors. Here's Kevin Kubota going over his workflow. He's doing some of his Photoshop/Lightroom magic on this beautiful image of Joanna. Jed Taufer presented some workflow as well. Jed is soooo funny! I learned during this time that he really likes burritos! Vicki also taught us about a whole lotta invaluable stuff! This woman along with her burrito eating husband, are brilliant!!! What makes learning more fun??? So during the two days, Vicki, Jed and Kevin would pull business cards out of a bag and give out some really great prizes!! I was soooo happy that Tiara won this cool frame from V-Gallery!!! So many happy prize winners!!! Honey Boy, is that you???? You go with your bad self!!! We were all waiting in anticipation and excitement for our name to be called. For many moments I felt like I was in the audience on that show...The Price is Right!!! Of course, we were all so happy (and I'm sure a bit envious)at Nicole Seu who won the grand prize...A COMPOSER LENSBABY!!!! Right on, girlfriend!!! You know, The Willows' Kapa'akea Room worked out perfectly for the workshop. It was a wonderful place to shoot, learn and not to mention EAT!!! Here we find local photographers, Tiara Lee, Russ Ramos and Chrissy Lambert grinding under a canoe. I'd like to call this the "Oh, Wow! Lau-Lau!!" shot! And it's totally dedicated to Chrissy!!! Besides learning from all of these great instructors and being inspired by them, one of my most FAVORITE things about attending the Kubota workshops is seeing and reconnecting with old friends! Like Ramona of Photo Visions...girl! I'll always remember this moment when we couldn't decide which of Vicki's item's we should get!!! My Honey Boy, :Dave Miyamoto! The "other camera brand" of peeps - Kris "Tonks" Labang, Derek Wong and of course, Arna! And soooo many other wonderful colleagues! The additional benefit that comes next to that would be meeting and making NEW friends!!! I love this gal! And I loved meeting her beautiful daughter Rio!!! Loved seeing Fernando again and meeting his friend Captain Howie! MAHALO NUI LOA to the Kubotas, the Taufers, Bill Moore, Craig and Sarah of Asuka Books for an extremely successful Success on the Beach!!! And of course, to all of you, my fellow grasshoppers, for taking the opportunity to be inspired and empowering yourselves by attending this incredible workshop!!! MAHALO NUI LOA to all of you for making it happen!!! Can we say "HANA HOU???" PS Ummm...This is Keoki toward the end of the workshop. Yup bud, time to hele home!!! This morning I had the great opportunity to meet and work with the very talented and extremely funny Rae Huo. I have admired her work through the years. Her images have been published in many magazines such as "Hana Hou," "Honolulu Magazine," and other well known periodicals. Today Da Photo Chick was going to be on the other side of the camera. The shoot was for Kanu Hawai'i. An organization you all know I'm totally gung ho for! Kanu Hawai'i is the latest recipient of the a pro-bono marketing campaign which is organized by Ad Two Honolulu Public Service Committee. 2) We are all Kanu members! The shoot was so awesome! I was so delighted and intrigued by Rae's sense of humor!! See what I mean? This horse's head/mask totally slayed us! OMG! Here's Tai Leong, co-chair of the committee and also art director for the shoot. Seriously, we all could not get over that horse's head. We just totally loved it! It would have been fun to have Rae photograph me as a horse however, I'm sure that would have been extremely tricky. It was super fun to watch Rae work and for such a great cause! I was so happy to see James Koshiba again and meet his very cool friend Anim, who is the Director of National Programs for The Food Project in New York. Just a couple of bright, intelligent and ambitious guys who's making our world a better place, people!!! Mahalo nui loa Kanu Hawai'i, Ad Two Honolulu, Ms. Tai Leong and of course, Rae Huo for making this morning so exceptionally special! What an honor to work with all of you!!! This is a very difficult post for me to write however, I am following my na'au (instincts) because I feel it is extremely important to share this with you. On Dr. Martin Luther King Day I went out to the country to spend some time with my niece and nephew. As we walked along the beach we found a young sea turtle basking in the sun. As we carefully approached it (while keeping a respective distance) I was shocked and horrified to find that this poor creature had a tumor attached to it's head!!! The feeling of anguish, sadness, anger and helplessness hit me all at once!!! I felt strongly that pollution of our waters played a big part in the toxic growth attached to this innocent sea turtle's head. As I choked back my tears, I explained to my niece and nephew how important it is that WE help to stop pollution and keep our waters, land, and air CLEAN!!! It is our kuleana, our responsibility, to take care of this beautiful place we call home! I LOVE the Kailua Boat Ramp! While waiting to get started on Wainani's shoot this morning, I ran into my two surfah girlfriends who were ready to hit the waves. I was so impressed with Ginger and Caroline's excitement to start their day with a little tryst in the ocean. They looked so relaxed and happy when they got back. I loved seeing Caroline's Bubba Board. She was so proud to show it to me. You go girl! During Wainani's change into her second look, I wandered toward the boat ramp. I was intrigued to find this gentleman lugging all this debris from the beach. preventive accoutrements that were being used to help the beach from eroding was now turning into dangerous ocean trash. I loved hearing Matt speak with so much passion for this special place. He and his 'ohana are doing such an incredible service to the community. And that's what it takes! Each of us doing just a little bit of something for the greater good. MAHALO Matt, Holck Boyz and Holck Pup for your enthusiasm and devotion in keeping Kailua Beach clean and safe!!! Day of Action in Hawai'i! Happy National Day of Action, peeps! Today, hundreds of Americans took part in being responsible for our nation's future. Kanu Hawai'i has done a tremendous job bringing awareness to today's event which runs parallel to Kanu's own mission. As a proud Kanu member, I made sure that I would spend part of today giving back to the community and more importantly, commit to an act of service that I could continuously take part in. Back in July of this year, I was angered and disturbed to hear the news of a Hawaiian Green Sea Turtle who was found mutilated and dead at Laniakea Beach. "Honey Girl," who frequented Laniakea Beach, was treated inhumanely and with utmost disrespect. I wept when I heard the news that this beautiful creature had been slaughtered at a place where she thought she would be safe. From that moment on I vowed to do something positive for "Honey Girl" and her fellow sea turtles. I was sooo ecstatic to find that on Kanu's list of Day of Action Activities was an event for Malama Na Honu. 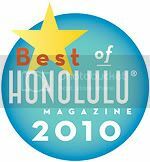 "Malama Na Honu is an organization who's main focus is to help protect Hawaiian green sea turtles through education, public awareness and conservation in the spirit of ALOHA." I spread the word of training to be a Honu Guardian and sparked others interest in the activity. AWESOME!!! So this morning, I woke up, picked up my fellow photographer and BFF Arna, and we took a drove out to the North Shore to Laniakea Beach. and my niece, Casey Isabelo. Laniakea Beach looked so beautiful!!! What a great way for the Blog Squad to start a Saturday morning! Dave even brought his underwater housing! If you click on this photo it'll pop open even larger and you can see a reflection of Michelle and I. Slick, yeah???? Here's Dave working that housing!!! Okay....enough of this Tom Foolery!!! Meet Da Honu Dude - Patrick Doyle! He is truly THE Honu Dude! This guy is sooooo passionate, 'olu'olu, knowledgeable and just downright cool!!! Even while "class" took place, we could see the turtles swimming around in the water! By the time we left, I counted four turtles hanging out and basking. We even met this beautiful Honu Guardian on duty, Uilani, with her keiki - a Honu Guardian in training!!! I want to send a big MAHALO out to Malama Na Honu - its leaders and volunteers for their time, energy and love that they have for these endangered species and our islands. To Patrick Doyle, the Honu Guru/Dude, for your unconditional love, compassion and knowledge. I could tell that these traits do not only pertain to the Hawaiian Green Sea Turtles but to everything you take on in LIFE!!! I am so fortunate to have been able to spend some time with you today. MAHALO for spreading the ALOHA to everyone you meet and for being such an inspiration!!! To all of you out there for participating in this Day of Action! MAHALO for your time, energy and commitment to taking care of our nation's and island's future!!! Please visit: Malama Na Honu at www.malamanahonu.org if you're interested in becoming a part of this wonderful cause and organization!!! Also visit: Kanu Hawai'i at Kanuhawaii.org. Please sign up and become a member! Be an active part in preserving our island's future!!! This is da good kine SNAP! Check this out - Fabric Softner in a BOTTLE!!! No more of those dryer sheets sticking to your laundry and more importantly NO MORE adding waste to our landfills!!! Just sprinkle the stuff when you need it! "Snap™ Fabric Softener is a space saving, convenient fabric softener that shakes freshness into every dryer load. Just one container of Snap Fabric Softener replaces up to 25 boxes of the leading fabric softener. Snap Fabric Softener is anti-static, virtually eliminating static cling and shock even on the most susceptible fabrics such as nylon, polyester, rayon, acrylic and triacetate. It will not become sticky or gum up, and it will never spot or stain your clothes. Snap Fabric Softener is multi-purpose; it easily freshens up hampers, gym bags and smelly shoes. It is perfect for freshening up pet bedding. It also deodorizes and removes static from carpet. Make laundry a SNAP! with Snap™ Anti-Static Fabric Softener!" During moments that I'm not processing in front of my Mac, out shooting or doing an ungaudly amount of lunges with Kimo Kockelman, I like to do something nice for our environment. This morning, I recycled my boxes at the nearby recycling bin at Heeia Elementary in Kane'ohe. I love that the recycled materials (i.e. CLEAN boxes, paper, and glass) help out the school. And yes, I most definitely clean out all my glass and plastic bottles (no roaches getting intoxicated by the remnants in wine bottles) and FLATTEN all my cardboard boxes!!! My name is Geralyn. I love to recycle! This post is dedicated to all the Kanu Hawai'i Members!!! I would like to thank one of my favorite writers, Yu Shing, for attending the Green is the New Black event for Kanu Hawai'i on Tuesday, 8/12/08. And also, to thank her for taking this photo of myself with my all time fave local duo, Maila and Ben! MAHALO to my bud, Davin Kazama, for letting me know about this photo in Midweek!!! After closer examination, I noticed that it was a busted up bottle of Mickey's ICE beer! The thing that I REALLY found disturbing and frustrating???? This glassy mess was only several yards away from a dumpster!!!! It doesn't take that much to walk to the dumpster, or even better, a recycling center, to responsibly handle one's beverage container!!!! Hydrating with my Klean Kanteen!!! I am soooo excited! I finally received my shipment from Klean Kanteen!!! As many of you know, the water bottles we drink from are made from plastics that unfortunately LEACH TOXINS into the water that we drink! With my Klean Kanteen, which is made from high quality food-grade 18/8 stainless steel (inside and out), I can rest assured that as I consume my 27 ounces of H20 it is free of toxins and there is no leaching going on! Please consider "hydrating yourselves with this eco-friendly, reusable stainless steel water bottle which provides a safe, non-leaching and toxin-free alternative to plastic and other metal lined containers."